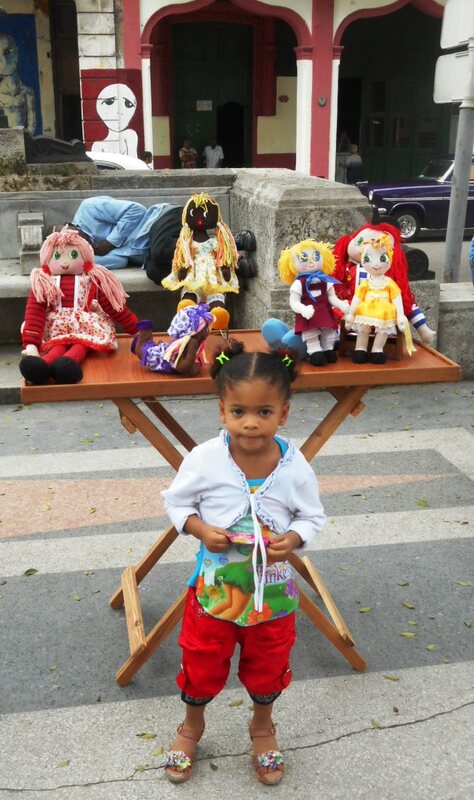 What a little cutie patootie she was, posing with her grandma´s dolls for sale in Havana. They have an art fair on Sundays from 10-2 every week on the Prado; it is a great place to see and buy unique and wonderful artwork in all mediums. Bring a bag of art supplies in your luggage to donate to the teachers and the art center association. 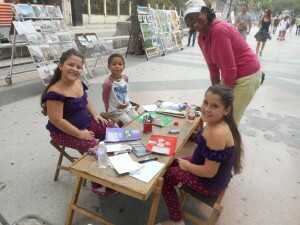 I brought watercolor palettes, brushes, paper, crayons, scissors, glue sticks, paint, markers, stickers and more.